Note: the prices mentioned in this post are getting a bit dated, but the concepts are alive and well! It’s a natural tendency to always think about your revenue in price per bushel terms. At the end of the day, what really matters is your gross farm revenue (and profits). 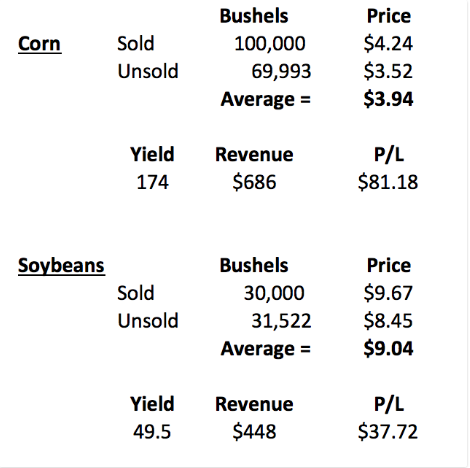 The farm profitability analysis below is from the fall of 2015 for a U.S. corn and soybean producer. Our goal was to analyze this producer’s inital profit estimate vs. the profitability after actual yields were factored in. Here were our assumptions going into the growing season. In July, we put together the following revenue estimates using the producer’s marketing and our estimates for future prices. As you can see, even with some sales/hedges materially above our estimates for future prices we were looking at roughly a breakeven year. This producer finished harvest earlier this week with very good yield results. That’s the good thing. 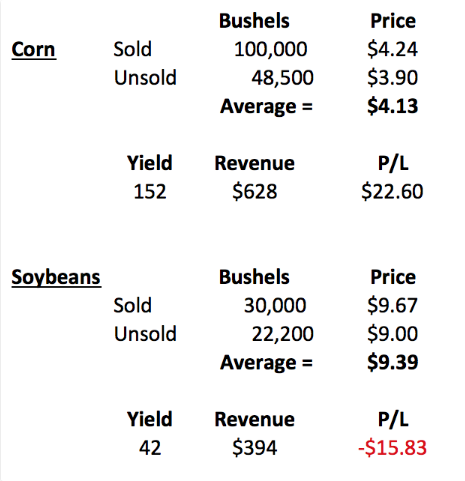 The not so fun realization is that our price expectations for their unsold bushels look high given today’s market conditions. Let’s update our revenue estimate with their actual yields and today’s prices (using basis for deferred delivery periods). They are looking at solid profit prospects even after lowering the price on their unsold bushels to well below their initial breakeven prices. If I would’ve told this producer last spring that they’d be looking at a net profit of greater than $50/acre, they would’ve been ecstatic. Historically, October isn’t the best month to price a significant amount of your production but at the end of the day farming is a business. We’re all in business to make a profit. Focusing on gross revenue vs. price per bushel can help take emotion out of your risk management. 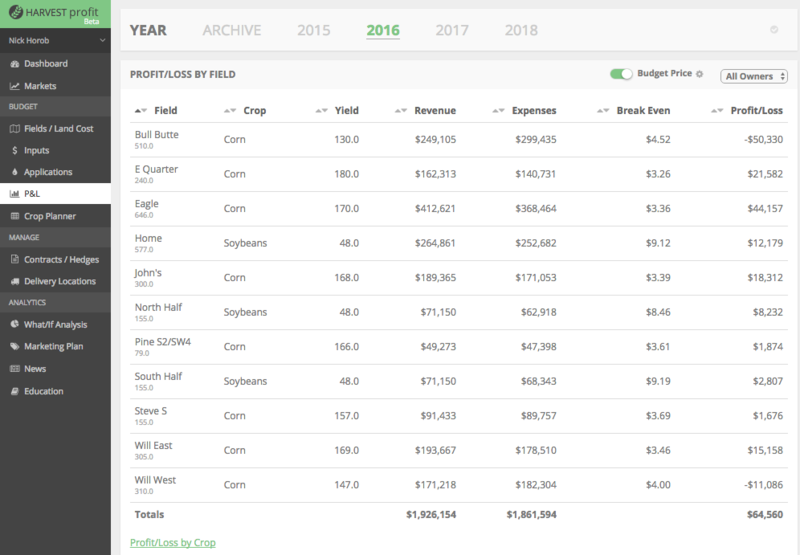 To help this analysis process going forward, our software will help producers do this analysis “on the fly” by simply updating their field-by-field yield estimates. Our software will then calculate their current profit estimates using their current risk management strategies (cash sales, forward contracts, basis contracts, HTA contracts, futures hedges, option strategies) combined with current market prices on unsold bushels. Over time, we feel a business-oriented risk management approach is a solid building block for a successful farming operation. If you’d like to jump into a live account, click the button below to test out the software.